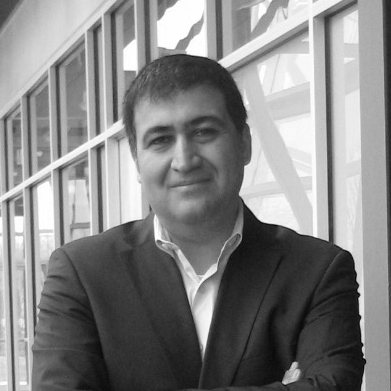 Omid is an inventor, scientist and serial entrepreneur with 22 years of experience in commercializing new technologies. He was the mentor during RAPID’s ICORPS project and has served as Chairman of the Board since the company’s founding. Currently, he is the CEO of Ascendant Dx, a diagnostics firm commercializing new ‘omics’ tests for diseases with poor or no existing diagnostic tests. Ascendant’s first product under development, Melody, is an accurate, fast and inexpensive screening test for breast cancer. Moghadam has inventions in medical imaging, cryptography, microprocessor design, medical devices, diagnostics, digital photography, data science and communications. He is the founder of Dossia (Health Records), co-founder of Integrated Analytics Solutions (aka Intel Genomics), founder and chairman of CardioWise (Cardiac Analytics Software), board member of NanoWatt Design (Big Data Software), OsteoVantage (Spine Surgery), and The Diary Corporation (HCIT). He serves on the advisory board of Base Health Corporation (Genomics), and Coventary Computer (Big Data). Previously, he served as an advisor to Robert Wood Johnson Foundation, Children's Hospital Boston, and California Healthcare Foundation and as a board member at Best Shot Foundation (Childhood Pneumonia), and Health-e Australia Pty (Hospital System). He holds BS and MS degrees in electrical and computer engineering and an MBA in finance. He has held academic positions at Harvard Medical School department of biomedical informatics, and Rensselaer Polytechnic Institute Lally School of Business. Mr. Moghadam’s approach to innovation has been highlighted in two books: Grabbing Lightning (2008) and The Innovators Prescription (2008).